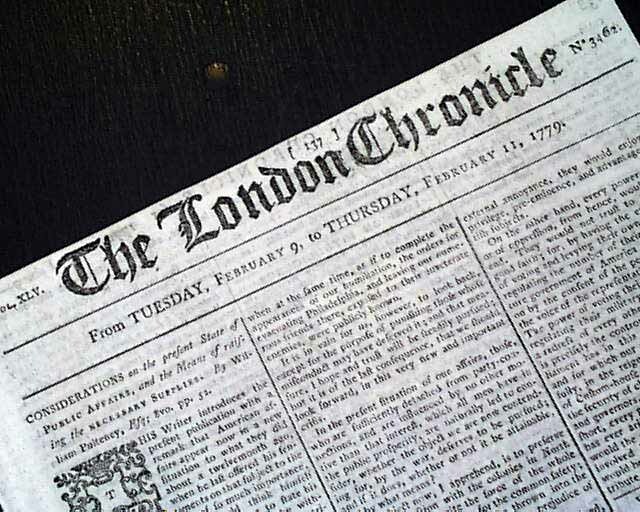 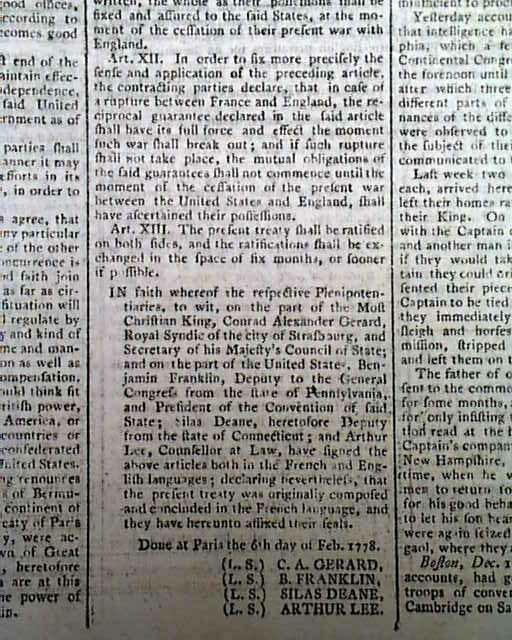 Page 2 has a letter from Sir Henry Clinton to Lord George Germaine concerning the Revolutionary War (see), but the prime content is certainly the text of the treaty of alliance between the American colonies and France, the support so important to the American cause in winning the war. 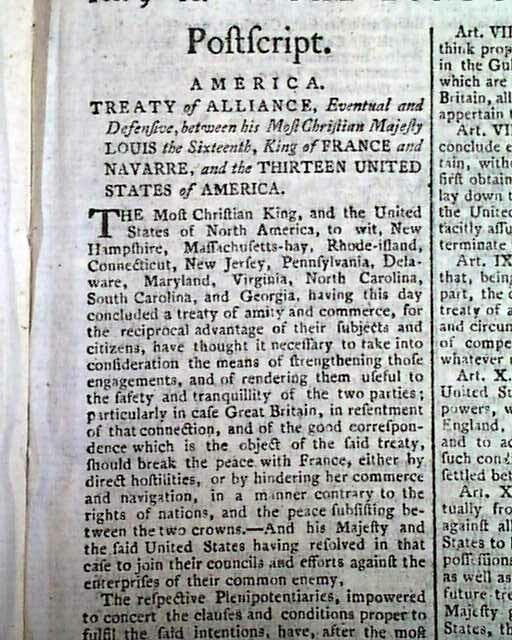 It takes two-thirds of a page headed at the top: "America" "Treaty of Alliance, Eventual and Defensive, between his Most Christian Majesty Louis the Sixteenth, King of FRANCE and Navarre, and the THIRTEEN UNITED STATES OF AMERICA." 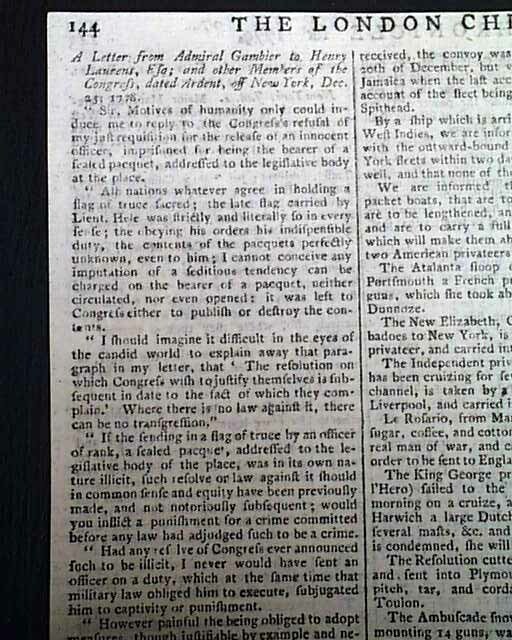 It is signed at its conclusion by C. A. Garard, B. Franklin, Silas Deane, and Arthur Lee (see). 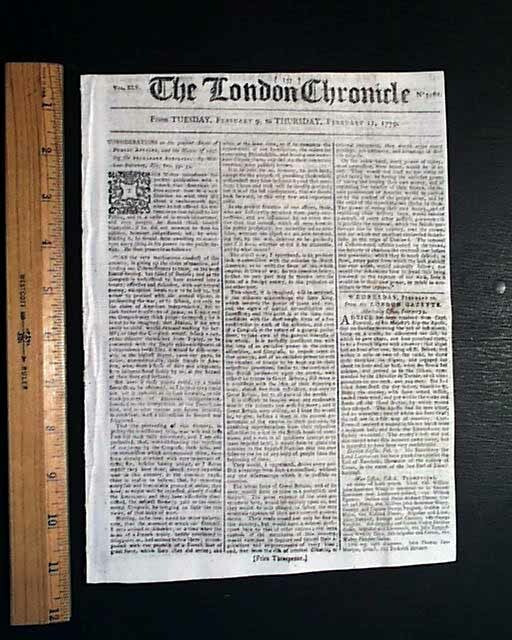 Included are all thirteen Articles. 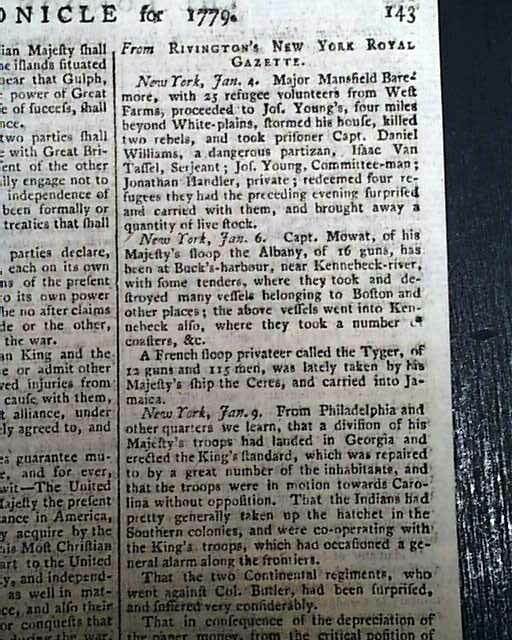 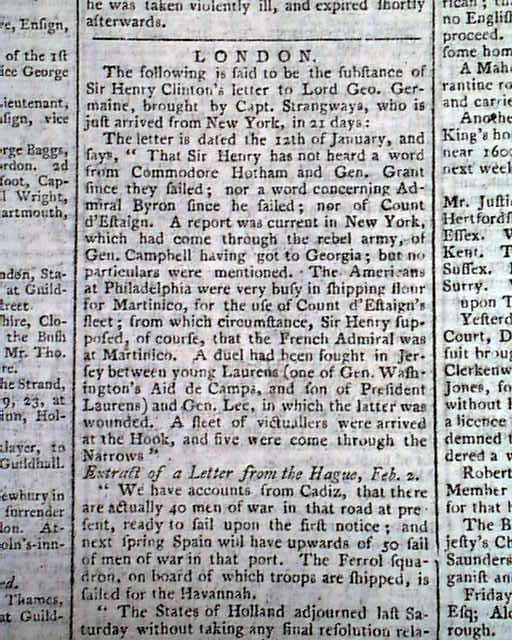 The balance of this page is taken up with various war-related reports "From Rivington's New York Royal Gazette", and the back page has a letter concerning the hoped for release of a soldier acting under a flag of truce (see for portions).